» Side-Scan Sonar Side-Scan Sonar | Divex Marine Inc.
To provide our clients with the best service, we have acquired a Side-Scan Sonar, thus offering high-performance equipment and state-of-the-art technology. 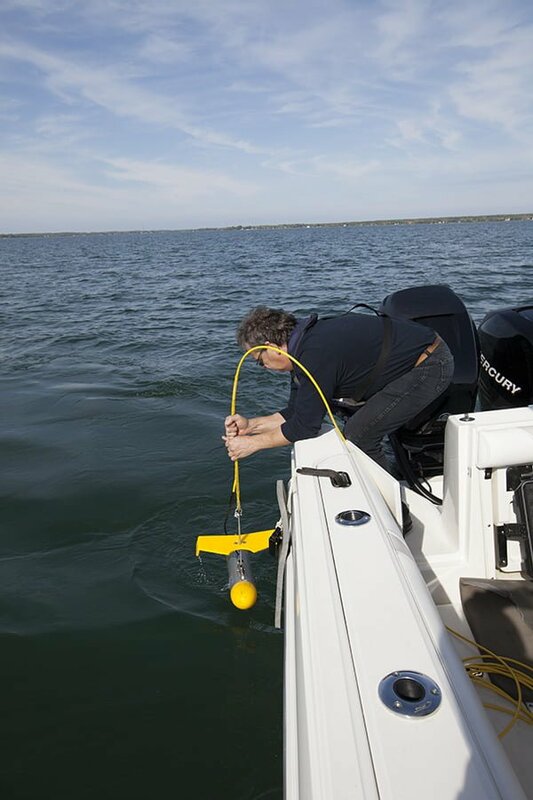 Compact and relatively light, it can be easily transported wherever needed. 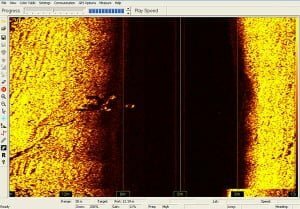 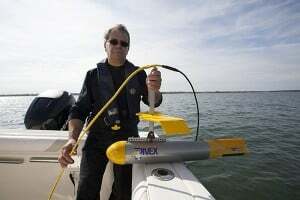 The side scan sonar is a device that works by using sound waves. It allows the realization of acoustic images of the seabed and objects found there. 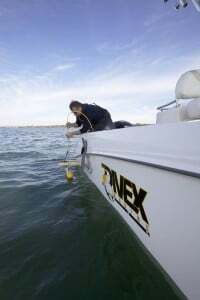 Divex Marine acquired the Side-Scan Sonar from Imagenex company, known as the world leader in the manufacturing of sonar systems. 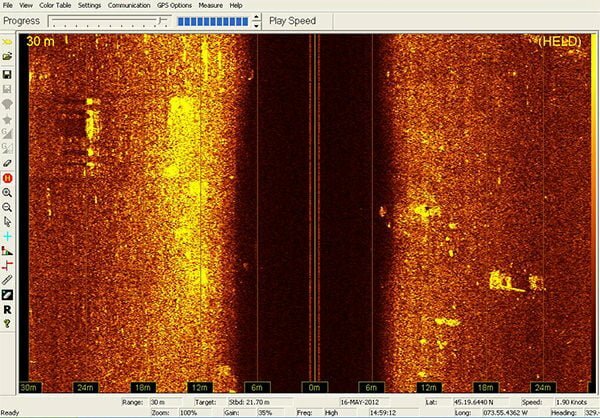 The data are visualized and recorded continuously time numerically on a laptop. 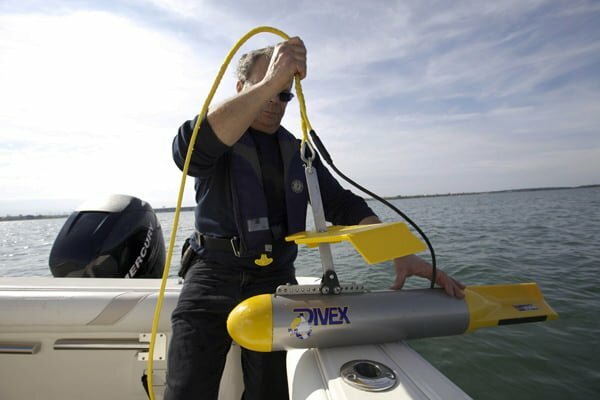 Divex Marine has the skills, experience and working boats adapted to the use of this device.